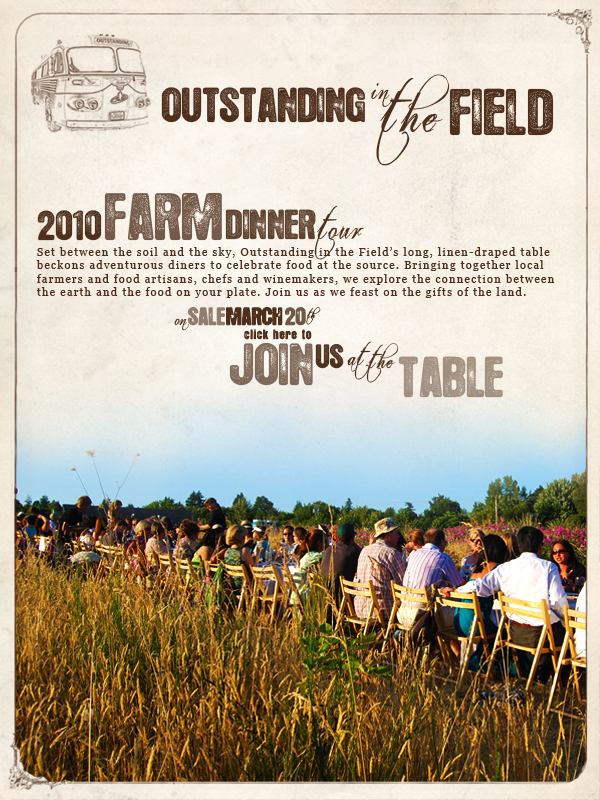 Outstanding in the Field at UBC Farm July 19th – tickets available! Vancouver is a featured again as a host city in this year’s Outstanding in the Field dining series! Chef Andrea Carlson of Bishop’s will be the guest chef for an Outstanding in the Field event at UBC Farm Sunday, July 19th. The UBC Farm is excited to be hosting this great event for the 5th season in a row and hope you will join us for a great evening celebrating the bounty of the region. Outstanding in the Field is the wildly successful roving culinary adventure that travels North America during the harvest season. 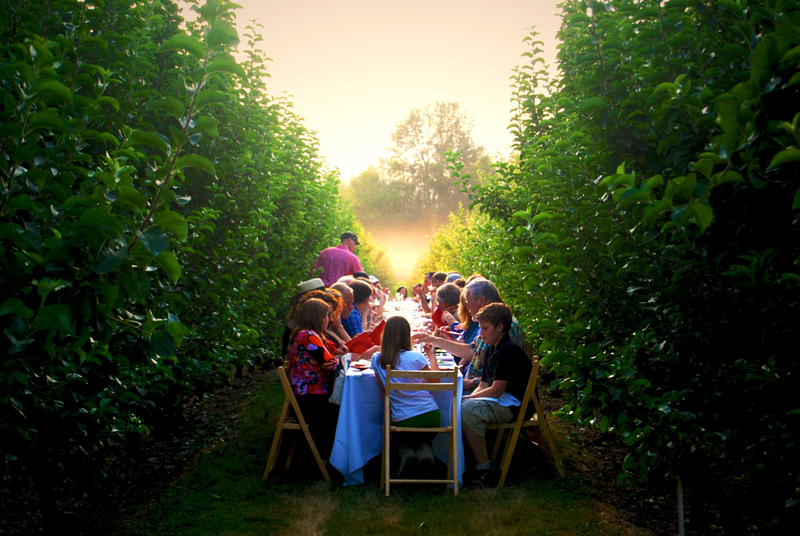 The experience begins with a tour of the location – typically a local farm – then guests join farmers, producers, culinary artisans, and share the seasonally fresh meal set at a long table. The table is located outdoors at farms or gardens, on mountain tops or in sea caves, on islands or at ranches. Occasionally the it is set indoors: a beautiful refurbished barn, a cool greenhouse or a stately museum. Wherever the location, the consistent theme of each dinner is to honor the people whose good work brings nourishment to the table. Ingredients for the meal are almost all local and most come from the host farm. Meals are generally prepared by a celebrated chef of the region. Learn more and reserve your tickets at the Outstanding in the Field website.